You want to advertise for your company and mainly target female customers? Then you should definitely think about something more original than boring business cards that will be lost in any handbag in no time. Every woman is delighted about small promotional products. At allbranded, we offer companies a large variety of creative and customisable giveaways that position your brand in the daily life of any woman. Find out why industries with a certain “closeness” to women especially benefit from promotional gifts, and learn about the applications and advantages of giveaways. The umbrellas from allbranded are ideal for eye-catchy advertising. Printed with your logo and available in different colours, they are an attractive product not just for women. No matter where a woman goes – her handbag is always with her. Why wouldn’t you use this fact for targeted promotions? If pens, lip balms, sunglasses or key chain – they are all potential advertising media. allbranded provides you the opportunity to print these and many more products with your company logo and make your company or brand a constant companion of your female customers. With useful promotional gifts for women, your promotion will appear appealing and special. The daily use of keys or lip balms becomes a daily thought of your company through customised giveaways. But not only the content of the handbag can be used for promotion. Shoulder bags or fabric bags can be printed with your company logo and offer the chance to maximise the effect and outreach of your promotional campaign at fairs, exhibitions and other large events. In most cases, women make the majority of purchase decisions. Especially in the fields of groceries and cosmetics, merchandising should target the female customer group. Of course, giveaways and other promotional products in all industries are a great chance to support customer retention and acquisition of new customers. But especially women-focused industries like wellness, beauty or nutrition require a high level of trust for the company. She is a lot more likely to visit the hairdresser that gave her a great hair care product last time, than one she has never seen before. Be one step ahead of your competition and count on high quality promotional items to convey a positive memory for your company. The selection of promotional products is immense. To achieve the best possible success with your promotion, the merchandising of your company should be tailored to the industry and the target group. 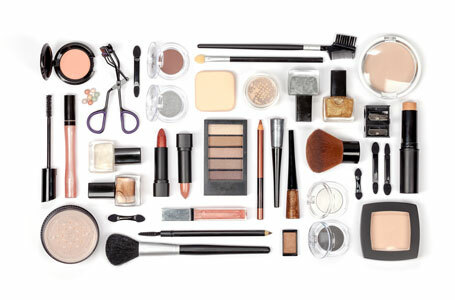 For industries close to women, like beauty and wellness, products like nail files and lip balms are ideal distribution products. allbranded can also print your company logo or claim on hair brushes, manicure sets or toilet bags. You are looking for the right promotional item relating to food and nutrition? How about organic BIO jelly bears or delicious snacks? Be creative and show your customers that your company is special with high-quality giveaways. Women want attention – not only in a relationship. If you do not only want to gain new customers, but also build loyalty among existing ones, you should surprise them with creative promotional gifts once in a while. For instance, you can give away delicious tea in the Winter or send promotional items with your company logo for special occasions like birthdays or company anniversaries. Seasonal products like chocolate Easter bunnies, hand warmers and Advent calendars increase customer loyalty and show your customers that they matter to your company. No matter if at the hairdresser’s salon, massage studio or fitness centre. It is not hard to make women aware of your company or surprise long-term customers. Look for the right promotional item that will delight your female customers the most at allbranded.co.uk. You will find a large product range, from cheap classics to seasonal trends. Be creative and convince your female customers with practical and high-quality promotional products that carry a personal touch with your logo or company branding. If you can’t decide what’s the right idea for your company, we are here to help you with professional expert support.